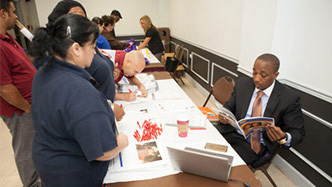 The City University of New York offers a comprehensive benefits package to meet the needs of its employees and their families, including health, welfare, retirement and other programs. Your benefits program is based on your category of staff. As your needs evolve over time, you will be able to make certain changes to your coverage during the Annual Transfer Period, or within 30 days of a qualifying event. Forms are available here. There may be links from outside vendors such as Flexible Spending Accounts, etc. Contact the Benefits Office if you have any questions. 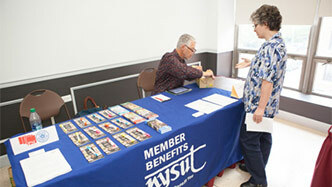 The goal of the City University of New York is to offer a comprehensive benefits package that will meet both the present and future needs of our employees and their families. A summary of the benefits are available to you in more detail. 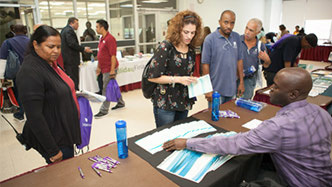 Depending upon your title at CUNY (please refer to your offer letter), you are eligible for a specific benefit program. Click on “Read More” next to your title for more information. A pension may be the last thing on your mind when you’re starting your job at CUNY, but it is one of the first things you’re asked to think about. You have 30 days from the date of appointment to choose a retirement program, and the choice is irrevocable. Click here to learn more about making your permanent pension choice. WorkWell NYC: Getting Healthy and Staying Healthy!